With the ever growing number of online casinos, now there are more casino software providers than ever before. More than 100 companies develop online casino software these days. 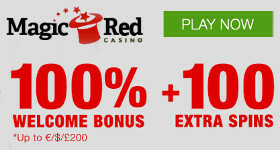 The kings of the industry are Playtech, Microgaming, RTG and Rival. These are brands that every seasoned casino player knows by its name. The largest number of casinos operate under one of these networks, their total combined market share being around 75%. Besides the few giants dominating this fast emerging market, there are countless minor actors as well. These smaller companies are however just as important as the largest ones, as they usually specialize themselves in certain games, themes or niches where they often outperform their behemoth competitors. Such minor markets are tipically regional games. Another great example is Evolution Gaming, which develops live casino software for live dealer games. Then there are the operators who have their own in-house team for producing new games, that are exclusive to only that one casino. Some casinos use not just one, but multiple internet casino software platforms at the same time. The benefit of this is that players can choose from a larger selection of games, especially when compared to other casinos on the web. This way all the strongest products of all the various software are available from within one single casino. This is also the reason for some casinos featured in more than one software operator lists. For now we deal only with the software that is used by casinos already featured on this site. With the number of these growing, so will our software list.